The third joint council meeting of the Trade and Investment Framework Agreement (Tifa) between Nepal and the US is scheduled to be held here on Thursday. Tifa is a bilateral pact aimed at promoting trade and investment between the two countries. The first conference of the Tifa Council was held in April 2011 in Washington, DC, two days after Nepal and the US signed the agreement. The pact involves increasing the volume of trade between the two trading partners. As per the Ministry of Commerce, the Tifa meeting this time will focus on simplifying the procedures to implement the TPA, increasing market access to Nepali products in the US and receiving technical and other necessary support to boost production of the 66 specified products. “Improving the production potential of these goods and increasing market access for them will be the focal points of the meeting,” said Commerce Secretary Naindra Prasad Upadhyaya. After the US phased out the multi-fibre agreement in 2005, Nepal’s exports to the US began falling, and the trend continued until Tifa was signed in 2011. Nepal has been lobbying for full-fledged implementation of the generalised system of preferences (GSP) and promotion of US investments in Nepal. In 2015, the US granted duty-free access to 66 products by enforcing the TPA. These products include certain carpets and pashmina, headgear, shawls, scarves and travel goods. Nepal will be receiving the facility through 2025. According to Upadhyaya, Nepal has been making good export earnings from 60 out of the 66 specified goods. “If we can increase the production volume of these products, it can also help to diversify the country’s trade,” he said. Speaking at a programme on Monday, Kevin C Price, economic and commercial officer at the US Embassy, said Nepal had to focus on boosting exports of the goods under preferential treatment. “Nepal can improve its competitiveness by benefitting from the facility that the US government has been providing for a decade,” he said. Kevin said the Tifa meeting would also discuss intellectual property rights for Nepali products in the US. “The bilateral meeting has aimed to enhance market access for Nepali goods from community-based retails to big industrial markets in the world’s largest economy,” he added. 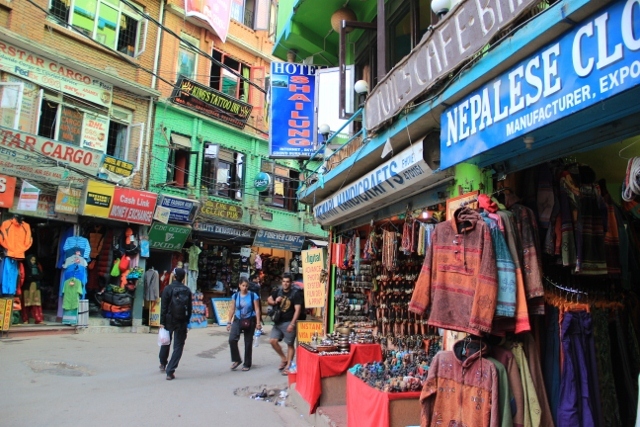 At present, the US is Nepal’s second largest export market. Despite seeing huge trade deficits with most of its trading partners, Nepal enjoys a trade surplus with the US. In fiscal 2015-16, shipments to the US increased 20 percent to Rs9.34 billion.